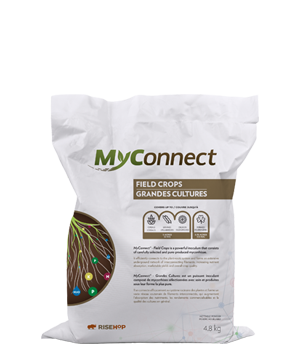 MyConnect® – Field Crops is a powerful bio-fertilizer that consists of carefully selected and pure-produced mycorrhiza. 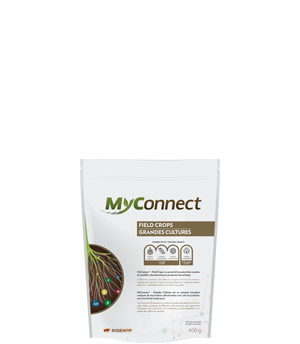 It efficiently connects to the plant-roots system and forms an extensive underground network of interconnecting filaments, increasing nutrient absorption, marketable yields, stress resistance (drought) and overall crop quality. *Seed coating: Mix the powder evenly with seeds when filling seeder, using grain auger or directly in the hopper (or other container). 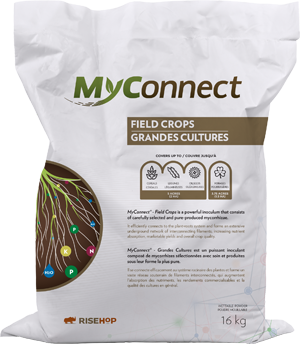 In-furrow application at planting: Dilute in the volume of water required for 1 ha (2.5 acres) of seeds (40-50 L). Agitate well during the dilution and just prior to application. 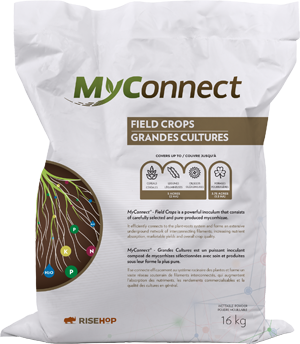 Apply directly on seeds in-furrow. 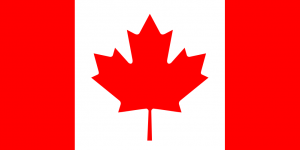 Dry seed treaters: A dry seed treater can be used to easily deliver the product powder onto seeds. It is recommended to perform a calibration test with the device to adjust the flow rate to the drilling machine filling rate.